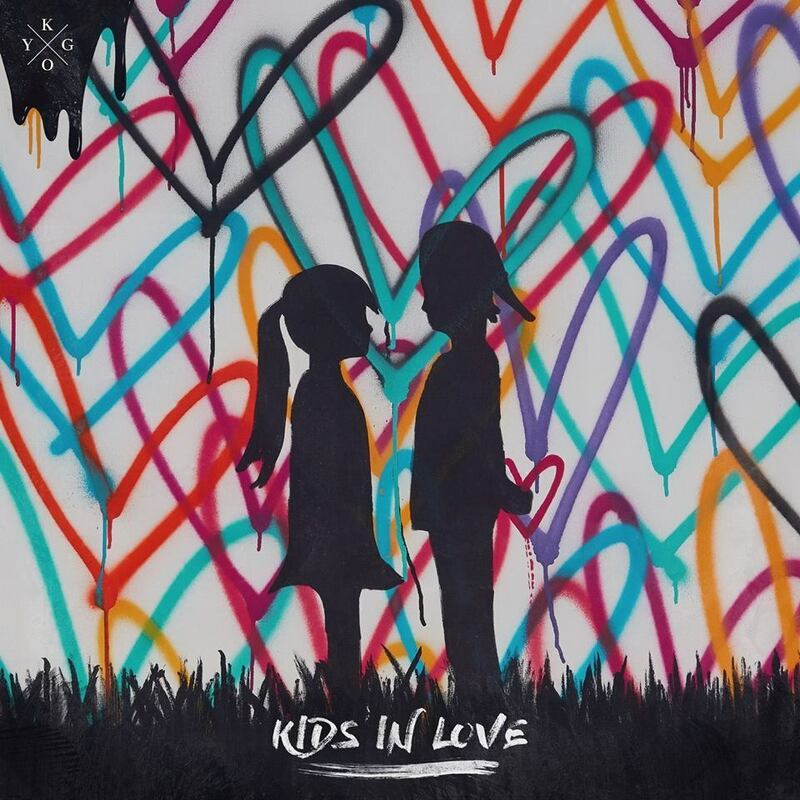 Kygo steals the show, yet again, but this time, his sophomore studio album, Kids In Love, is the topic of conversation. Less than one month after he released his latest 5-track EP, Stargazing, Kyrre Gørvell-Dahll put out Kids In Love through Sony Music Entertainment/Ultra Records. The 8-track full-length LP from Kygo. which includes the title track feat. The Night Game, Kids In Love, presents a matured evolution of the signature tropical sound he’s become most known for creating. Kids In Love begins with “Never Let You Go” feat. John Newman, an upbeat and empowering opener, followed by “Sunrise” feat. Jason Walker, which is a mellower second track that helps set put the listener into Kygo-mode. Track 3, “Riding Shotgun” with Oliver Nelson & Bonnie McKee is one of the album’s only female-lead vocal. Showcasing Kygo’s traditional sound, “Riding Shotgun” is bouncy with pop/rock elements and 80s vibes. With the recent release of Stranger Things season two on Netflix, the LP’s fourth track with OneRepublic is fittingly titled, “Stranger Things” (no correlation to the series). Wrabel, best known for his previous tunes with Afrojack (“Ten Feet Tall”) and Marshmello (“Ritual”), might just provide his best work yet on his new Kygo collaboration, “With You.” The fifth track from Kids In Love is soulful, yet embodies all of the go-to elements of your favorite chill and downtempo dance tracks. “Permanent” feat JHart. is an album highlight, with its subtle-yet-intensifying chords and crescendos, JHart provides a solid male vocal with a goosebumps-inducing top line. With its powerfully-effective lyric and euphoric melodies, “Permanent” immediately soared into our favorite tracks of 2017. The follow-up to his debut LP, Cloud Nine, released in May 2016, Kids In Love a step in a different direction for the 26-year-old Norwegian producer and DJ. Following a bit of a different tactic this time around, one track from Kids In Love was released to digital streaming platforms per day, leading up to its official release on November 3. Stargazing, which was released in October, includes the singles “It Ain’t Me” with Selena Gomez, “First Time” with Ellie Goulding, and “You’re The Best Thing About Me” with U2. Earlier this year, Kygo released his first-ever documentary, Stole The Show, which highlighted Kyrre and Manager Myles’ (his manager, Myles Shear) journey to the top and a sold-out show at Brooklyn’s famed Barclays Center. The musician returns to the iconic Barclays Center on May 11 amid his Kids In Love tour with special guests. Kicking off on February 5 in Helsinki, Finland, Kygo will spend the month of February overseas in Stockholm, Paris, Amsterdam, Cologne, Dublin, and London. Phase one of the Kids In Love tour lands in North America on May 2 in Toronto, then hitting Chicago’s United Center (5/5), The Anthem in Washington, DC (5/8), and TD Garden in Boston (5/12).